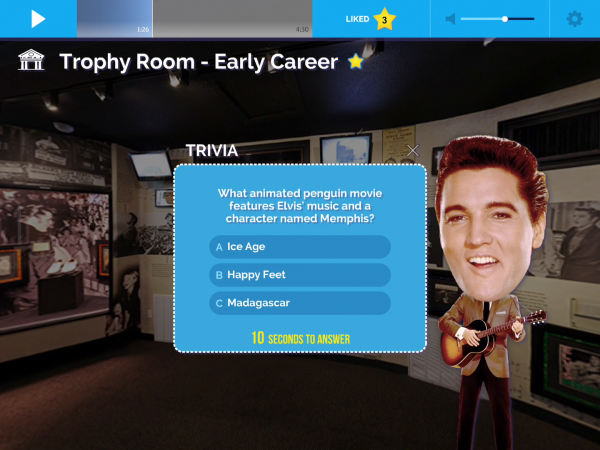 To celebrate the life and legacy of Elvis Presley™, Graceland® contracted Unified Field to transform the audio guide at the Graceland Mansion into a dynamic, interactive experience for all ages. 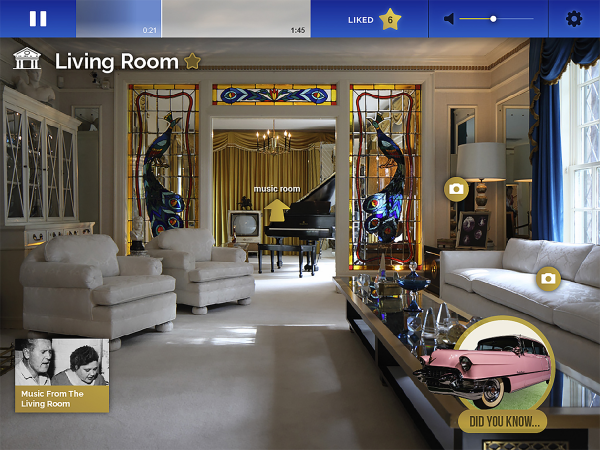 The resulting iPad app, driven by iBeacon technology, enhances the tour of Graceland with the addition of music, video, Elvis’ home movies and interactive features. 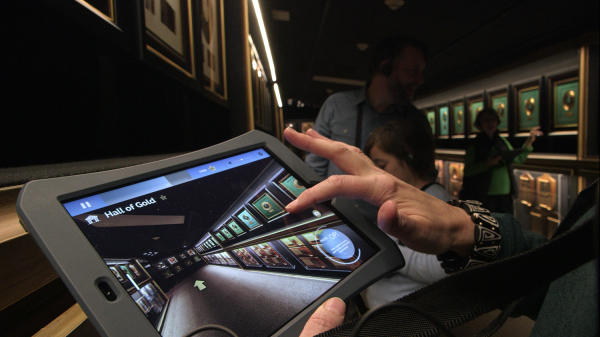 iBeacons placed throughout Graceland’s rooms and grounds deliver location-based content to guests throughout the tour. 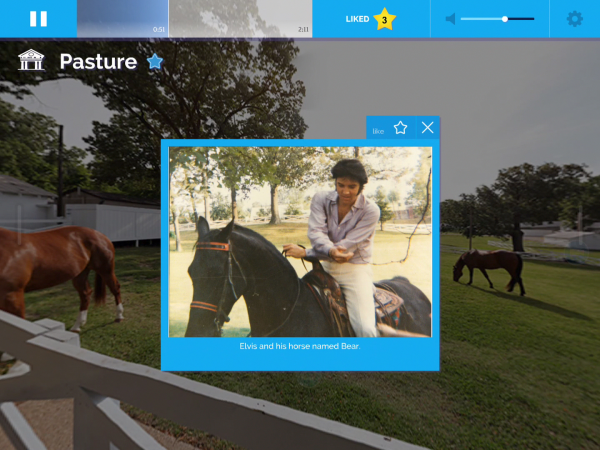 Available in nine languages, including Japanese, Mandarin and Portuguese, and narrated by actor and Elvis fan John Stamos, the app is the ultimate personalized Graceland tour. 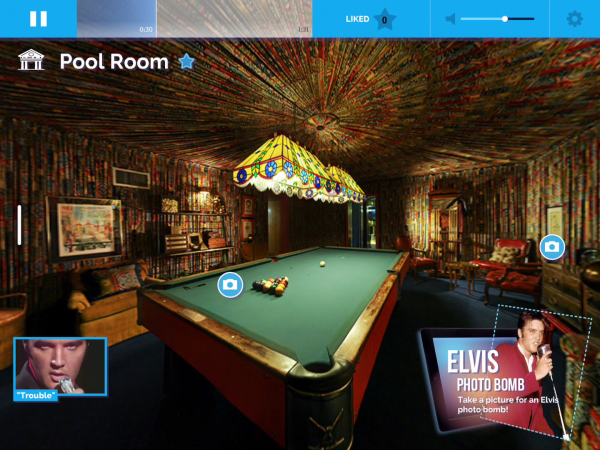 The iPad tour is in an integral element in the enhancement and expansions of the Graceland attraction by Elvis Presley Enterprises Inc. which includes a new 450-room hotel and a permanent Las Vegas Exhibit. 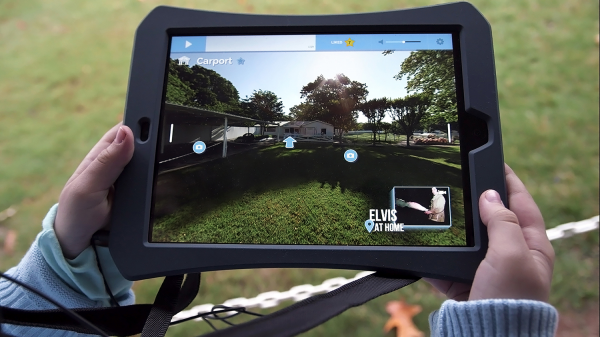 From concept to implementation, the Graceland iPad tour breaks new ground in the historic house tour genre, seamlessly integrating technology with history without altering Elvis’ eclectic home. iBeacons, discreetly positioned throughout Graceland’s rooms and grounds, transform the inherent progression of guests moving through the mansion into an interactive experience. An extremely accurate ranging and micro-location tracking system, with ranges from two inches to 160 feet, iBeacon works by monitoring Bluetooth beacons located throughout Graceland. On the tour, iBeacons function as a content delivery system, triggering location-specific media to appear on the iPads in the form of interactive “pop-ups.” These “pop-ups” deliver a variety of content specific to wherever the guest might be standing. Some examples include celebrity interviews, video, photographs, text/trivia, photo opportunities, and QVTVR 360 degree panoramic views. The fundamental objective of the project was to replace a long outdated, but incredibly successful, audio tour with a more contemporary experience incorporating rich, interactive media. With over 600,000 visitors per year, our challenge became how to give guests an enhanced experience with more content and interaction without limiting throughput. Unified Field addressed this challenge in two ways. First, the content-delivery system was designed to correspond directly with both the audio component as well as visitors’ location in the tour, resulting in paced content that incentivized guests throughout the tour without promoting extended dwell-time. Additionally, a flexible system was created allowing Graceland staff to adapt for busier days and peak tourism season by filtering certain content, such as videos, on and off to prevent clogging the flow of foot traffic. 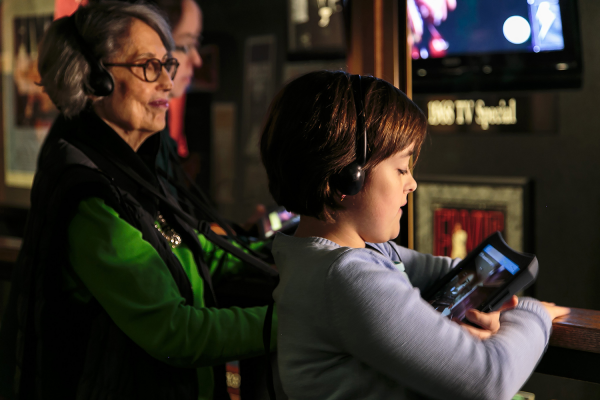 For guests who wanted a more in-depth exploration of the tablet content, the app allows visitors to return to previously visited rooms on screen and associated media content after the core tour concludes. Lastly, iBeacons reset the applications automatically at the end of the experience, avoiding wasted time manually resetting the tour for new visitors. Unified Field sent a team of designers, photographers and engineers to survey the mansion. Engineers spent the week walking the premises with iPads to properly position the iBeacons for content delivery. Photographers captured almost every room so that we could stitch together QTVR “behind the ropes” views of many rooms such as Elvis’ famous Hawaiian-themed Jungle Room. After prototyping, Unified Field spent several days working with test groups as they used the app and further iterated its design functionality specific to the needs of the Graceland audience. 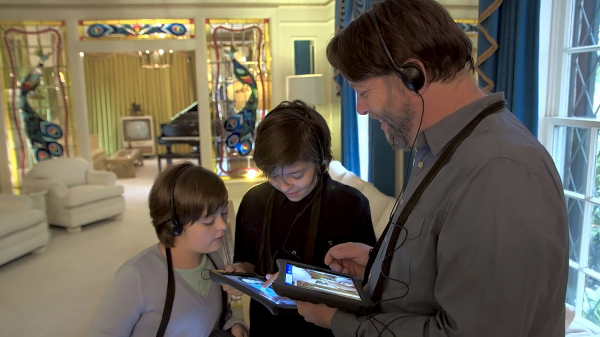 In addition to the core content and experience of the new iPad tour, Unified Field worked with Graceland to create an experience specifically for younger audiences i.e., kids and tweens. For the first time ever, the app allows visitors to take a separate iPad Youth tour, featuring interactive activities geared for younger visitors. Key features include an “Elvis Photobomb” feature inviting guests to use their tablet to drag, drop and resize iconic images of Elvis into photographs they’ve taken at the mansion, allowing a once in a lifetime opportunity to strike a pose with the King of Rock ‘n’ Roll™. At the end of the experience, guests can email themselves these photos. 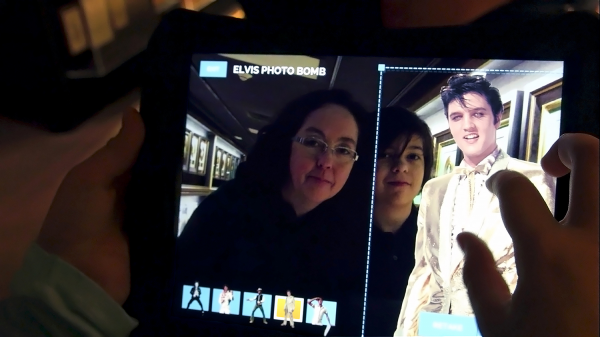 The iPad Tour offers never before seen footage as well as a unique engagement for younger audiences that will help transition the Graceland experience seamlessly for the next generation of Elvis fans. 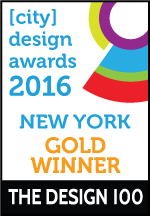 This award celebrates innovation and creativity in design of a unique user experience in the combination of text, audio, still images, animation, video, and interactive content for mobile. Consideration given to clarity of communication and the matching information style to audience.